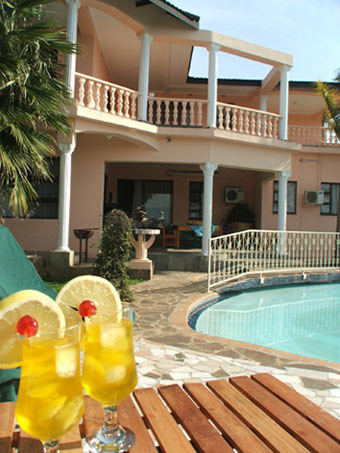 This quaint, homely villa provides great bed and breakfast accommodation in Swaziland. 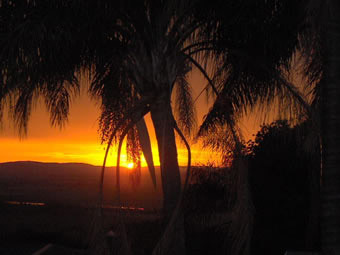 It is situated in the small town of Big Bend, which is nestled in the Lowveld Region of Swaziland, overlooking the spectacular Lubombo Mountain’s. This B&B accommodation is the perfect half way stop between KZN and Mozambique, situated 1hr from the Mozambique and SA Boarders. Home cooked meals and friendly service make staying here all the more special. A swimming pool, snooker table and large plasma T.V. in the lounge with DSTV are all offered. Safe and Secure parking are offered for all Boats and Trailers. A 9-hole Golf course, Tiger Fishing and Game Viewing are all offered within close proximity. At the Villa you are ensured of a great stay in Swaziland, as you will you experience real Swazi Hospitality. We also cater for mini Luncheons & Conferences for up to 18 People in a very private and tranquil environment. A variety of restaurants and Country Clubs in close proximity offer good cuisine at affordable prices for and evening out. Menu’s available at Villa. An honesty bar for your convenience is available in the snooker room.